One of the most common sharks of Galapagos, the blacktip shark is seen frequently in shallow coastal waters. The blacktip shark is a common shark which can be found across all of the world’s oceans. It prefers warm, shallow coastal waters and estuaries as opposed to the deep open ocean. It is small to average-sized with a short, bluntly rounded snout and horizontally oval eyes. It is dark grey in colour with black marks on the ends of all fins. This species reaches maturity at about four to five years of age and often live longer than 10 years. The shark usually gives birth to four to six pups in each litter, and the Galapagos Marine Reserve provides important sites for their pupping grounds. Fish make up 90% of their diet, but they will also feed on rays, skates and smaller sharks. There are two distinct lineages within the species, one found in the western Atlantic, and the other in the eastern Atlantic, Indian and Pacific Oceans. They differ in morphology, colouration and life histories but research has yet to be done to determine if they are two different species. In Galapagos, they are found in large aggregations. 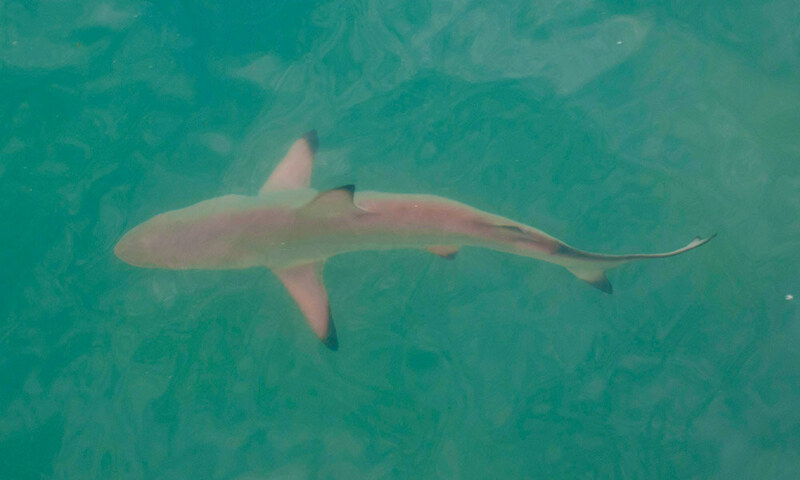 Where to see them: It is common to find blacktip sharks in coastal tropical and subtropical waters around the world, including brackish habitats. 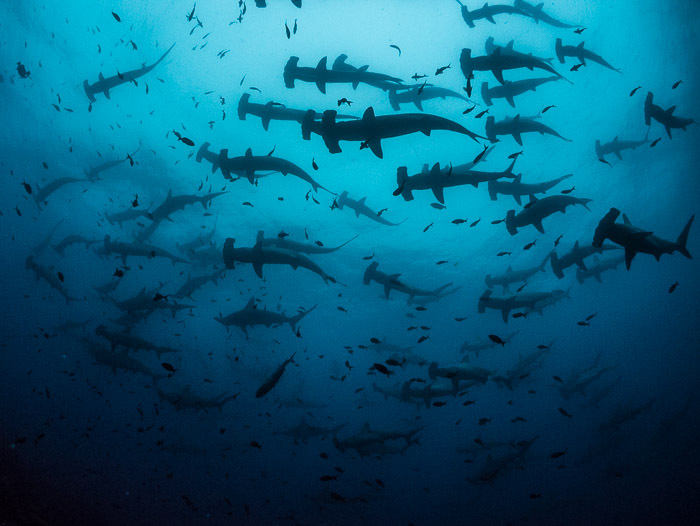 They are most frequently seen in Galapagos across the numerous reefs around the Archipelago, where their main food source is plentiful, but young sharks use mangroves as their nurseries. When to see them: All year round. 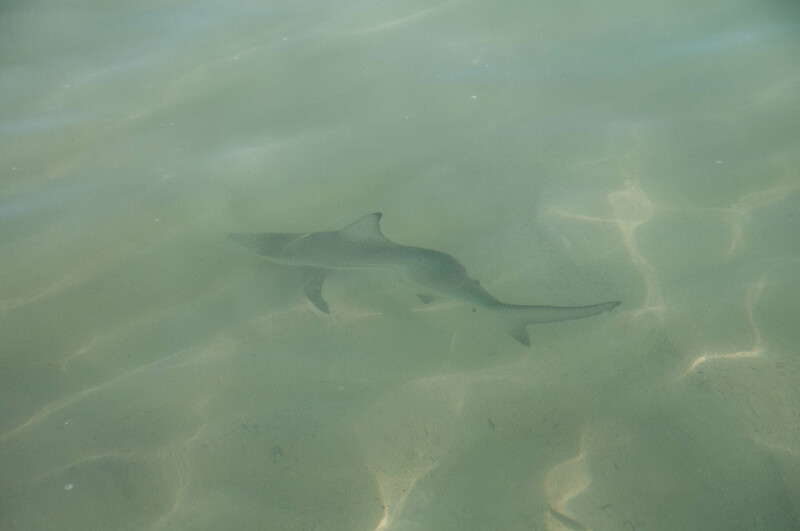 Threats: The main threats facing the blacktip shark globally are natural predators such as larger sharks, humans hunting the blacktip shark for their fins and meat, climate change, rising sea temperatures and overfishing. Overfishing of sharks, as well as the sharks’ prey, is an important issue for the blacktip shark in Galapagos and across the world. Overfishing of their prey lowers the impacts on the shark’s population as less food means lower rates of reproduction. 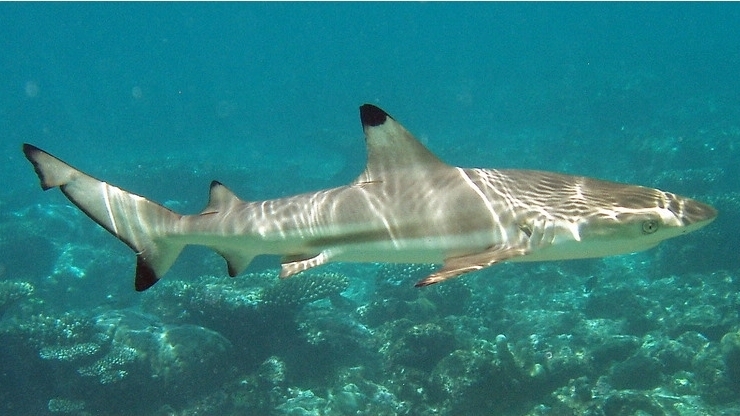 Conservation action: In the Pacific and Galapagos waters, blacktip sharks are not permitted to be landed in commercial and recreational fisheries, and finning is prohibited. However, there are little to no management measures in place for this species, and illegal fishing of the blacktip shark is a worldwide problem. As part of our Endangered Sharks of Galapagos programme we are working with partners to ensure that their nursery sites in the Galapagos Marine Reserve receive increased protection. Help us protect blacktip sharks today by donating to our sharks programme. Galapagos Conservation Trust are supporting research which will ensure that vulnerable sharks are protected throughout their life span.